In 1978 Israeli company Hofit launched an industry by creating the first plastic manhole chambers. The Israeli market was the perfect test bed for the new technology with needs for rapid growth in housing and infrastructure, as well as having a population familiar with developing and employing new technology. Early chambers were made from Polyethylene, a material ideal for the sewer industry due to its inherent impermeability and chemical resistance. 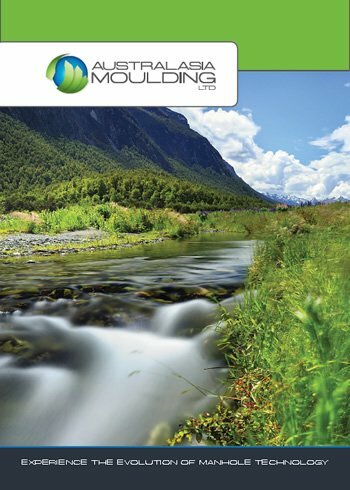 Rotational moulding was the ideal technology to make the chambers as large tooling could be made in a cost-effective manner and uniform wall thicknesses could be achieved. In 1989 the BS 7158 standard was released covering plastics inspection chambers for drains and sewers. This held until 2009 where it was superseded by BS EN 13598-1 and BS EN 13598-2, standards covering specifications for manholes and inspection chambers in traffic areas and deep underground installations. In 2011 the BS EN 13598 standard was cloned to form ISO 13272; specifications for manholes and inspection chambers in traffic areas and underground installations. With an emerging market in Israel, ROMOLD entered the plastic manhole industry in 1992 with ROMOLD Technologies Ltd based in Israel. ROMOLD GmbH soon followed and through this company plastic manhole chambers were brought to Germany and the rest of Europe. The demanding German market, and the risk of smaller operators joining the market with inferior product, led to ROMOLD investing in injection moulding technology for it’s large manhole chambers. This technology enables far superior product through improvements in accuracy and stiffness of the product. With injection moulding, fine detail was now possible which enabled the product design to be developed to provide the very best solution for the needs of the customer. ROMOLD’s sole focus on chamber technology allowed them to become market leader across Europe. To date they have a portfolio of over 1,000 products and have sold in excess of 1,000,000 chamber components. 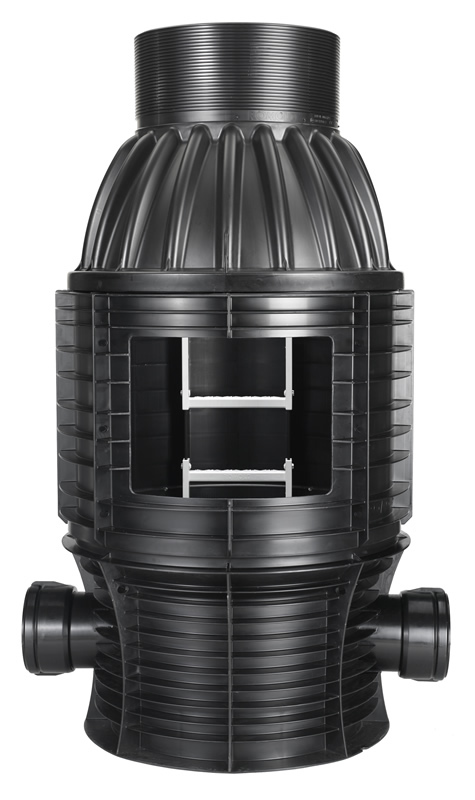 The ROMOLD range of plastic manhole chambers have significant advantages over concrete chambers. This makes them the logical chamber for plastic pipelines.